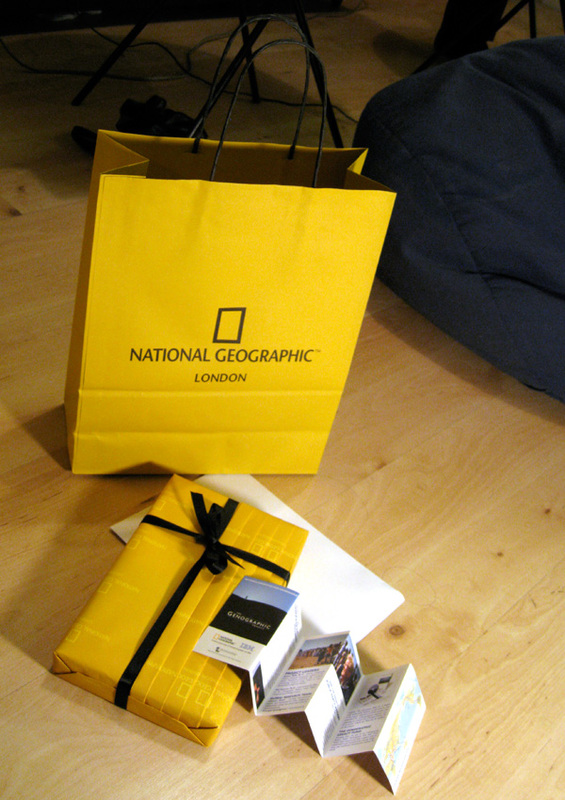 As for what’s inside, it might be one of the coolest gifts you could give someone this holiday season! 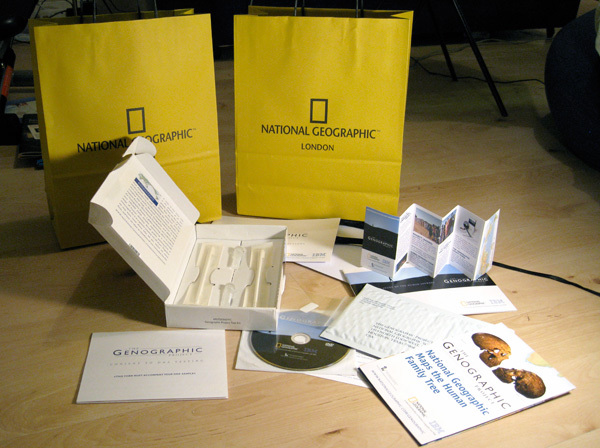 The Genographic Project Public Participation Kit! In this very CSI looking kit, you get a DVD about the project, a map of the migratory history of man, buccal swab kit, and a confidential ID# to access your results! See more pics of the kit on the next page, and i guess we’ll see if Justine chooses to share her results with us! The general public can actually take an active part in this remarkable effort by purchasing a Genographic Project Public Participation Kit and by submitting an anonymous sample of their DNA using an easy and painless cheek swab. By participating, you will not only contribute to this great endeavor, but you may discover something fascinating about your own genetic past as well. Furthermore, the proceeds from the sales of the Kits will be channeled back into the Project to support additional research and to fund education, cultural conservation, and language revitalization efforts for indigenous and traditional communities around the world. * DVD with a Genographic Project overview hosted by Dr. Spencer Wells, visual instructions on how to collect a DNA sample using a cheek scraper, and a bonus feature program the National Geographic Channel/PBS production The Journey of Man. * Exclusive National Geographic map illustrating human migratory history and created especially for the Genographic Project. * Buccal swab kit, instructions, and a self-addressed envelope in which to return your cheek swab sample. 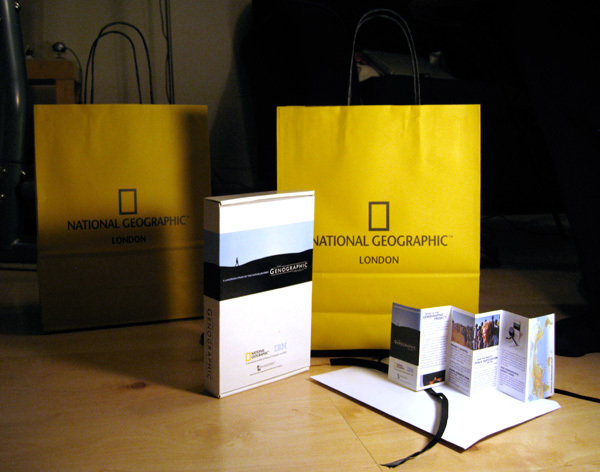 * Detailed brochure about the Genographic Project, featuring National Geographic photography. I have to say this is the most confusing thing I’ve ever been involved in….my husband and myself both paid our $100 and sent in our DNA samples! 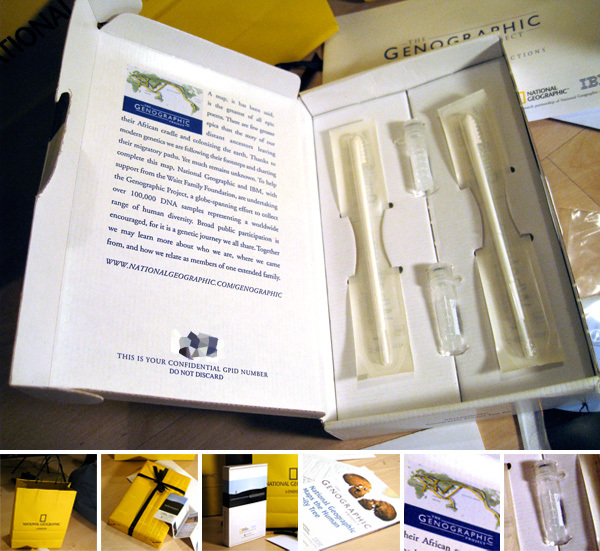 We gave Genographic kits as gifts last Christmas and they were a huge hit. Highly recommended for that special nerd in your life.